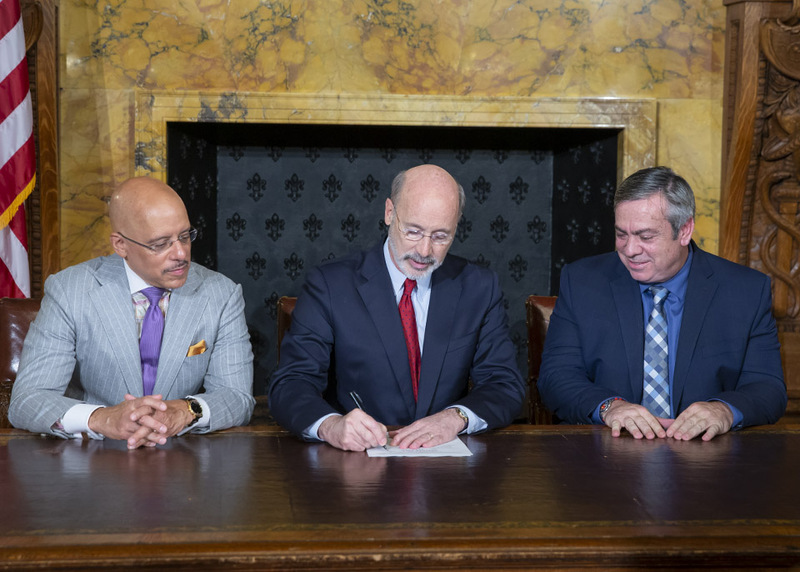 I was a proud partner in the creation and passage of two important school safety measures, which the Governor recently signed into law. 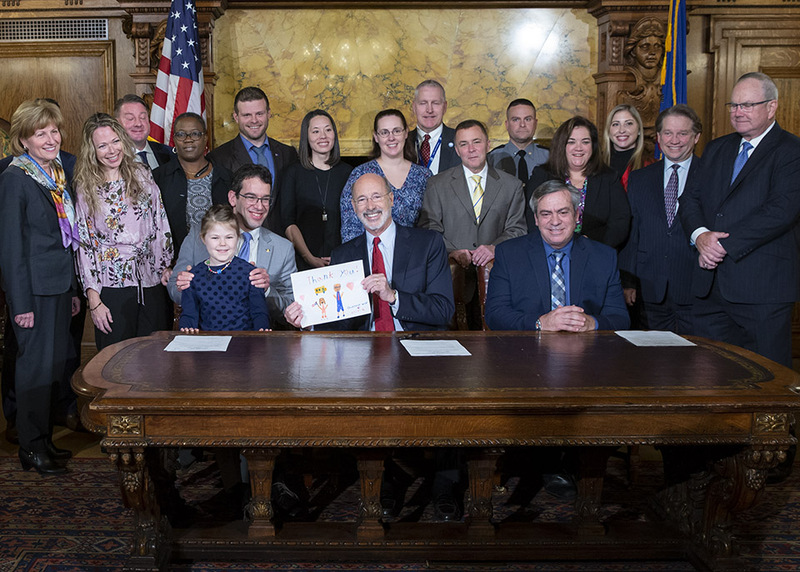 Act 44 of 2018 established the Safe2Say program in Pennsylvania. Sen. Vincent Hughes (D-7), Sen. Scott Martin (R-13) and I co-authored this legislation and modeled it after the successful Safe2Tell program currently employed in Colorado. Safe2Say is a school threat reporting and monitoring system for students, teachers and community residents to anonymously report any unsafe, potentially harmful, dangerous, violent or criminal activities in schools. 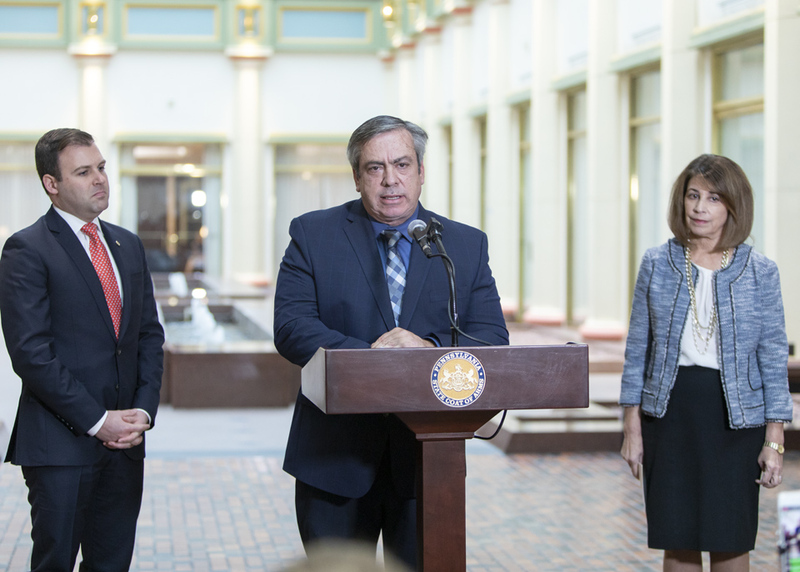 The Pennsylvania Attorney General is tasked with administering the program will be up and running in January 2019, providing a 24/7 phone hotline and app. The importance of our children’s safety as they travel to and from school cannot be understated. So, when Amber Clark, the mother of an Allentown School District student, informed me and my staff of the epidemic of vehicles ignoring school stop-arm laws thus putting students’ lives in danger, it was clear that something had to be done to better ensure their safety. As a result of working with Ms. Clark, Act 159 of 2018 was recently signed into law. This legislation allows for the placement of cameras on a school bus’s outstretched stop-arm to provide evidence of a vehicle passing or overtaking a stopped school bus and violating state law. Cameras provide a more efficient and effective means for enforcement of these violations than current methods. Previously, a police officer either had to witness the incident or a bus driver would have had to write down and report detailed information about the vehicle and driver. The legislation also provides for a grant program, funded by the fines generated by the cameras, to help defray the costs incurred by school districts. A further example of the need for adherence and enforcement of the school bus stop-arm laws was evident after the recent tragedy in Indiana. Three young students were killed while crossing the road by a driver ignoring the bus’s outstretched stop-arm. Pennsylvania has a diabetes epidemic, with approximately 1.5 million people living with diabetes and an estimated 325,000 Pennsylvanians undiagnosed. In addition, 3.5 million people in Pennsylvania have pre-diabetes with blood glucose levels higher than normal but not yet high enough to be diagnosed as diabetes. If you find yourself in need of assistance paying heating bills or in a heating emergency, Pennsylvania’s Low-Income Home Energy Assistance Program (LIHEAP) may be able to help. LIHEAP provides cash grants of one-time payments sent directly to the utility company or fuel provider for individuals or families that meet eligibility requirements. Eligible individuals may also apply for crisis grants when a home is without fuel, in imminent danger of being without fuel or to restore home-heating services. Applications for LIHEAP are being accepted through COMPASS, Pennsylvania’s portal to apply for assistance with health care, food and nutrition, home- and community-based service referrals. The program is accepting applications through April 12, 2019. For additional information and eligibility requirements, visit the Pennsylvania Department of Human Services’ website: http://dhs.pa.gov/ or call my district office. 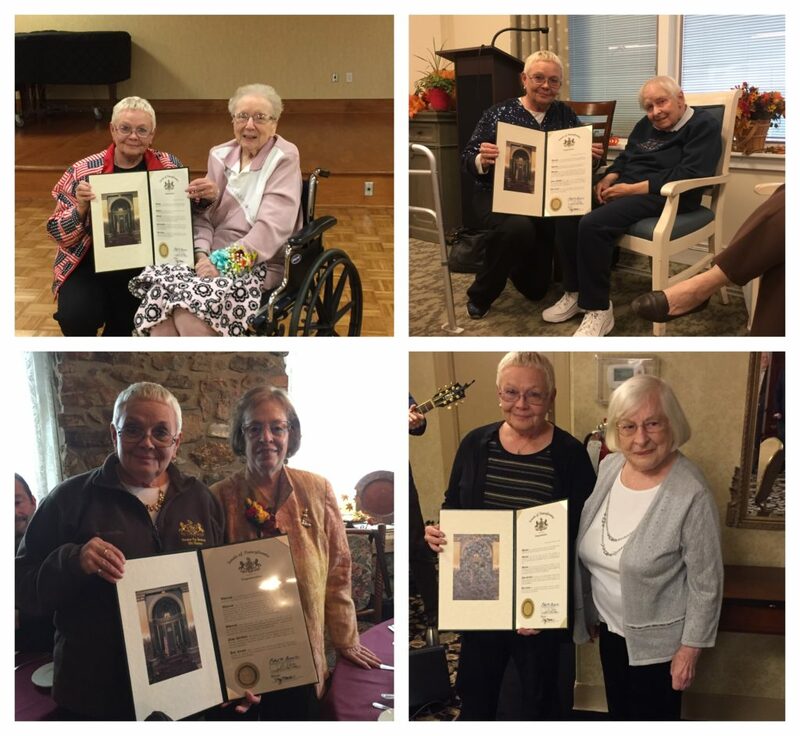 Recently, several very special ladies celebrated their 90th birthdays. Happy belated birthday to Marion Mensinger, Jean Lott, Anna Solt and Delores Zale. My Chief of Staff, Ellen Kern, was on hand to present Senate citations for these extraordinary milestones.